I'm very pleased to announce a special show for this excursion of BEYOND SIGHT AND SOUND! One that we have been working on for awhile now as we are battling time zones, scheduling, continents, and languages yet again to bring this show to the people. That's right folks!...It's time for a trip across the pond...this time we're headed to Germany! We will have the great ... Más informaciones pleasure of speaking with Roby Narboe (Coinshooter Roby from YouTube) and his hunting partner Eric Gamble. Two absolutely great guys to speak with who are very passionate about getting out there and recovering the history! If you haven't seen any of Coinshooter Roby's videos on YouTube you are missing out on some great footage! There's footage of mideval ruins, silver coins, relics, and even a few times where they've had to contact the bomb squad for WWII ordinance that they have unearthed together! Another interesting note to add to all this is that Eric is actually from the States and from Ohio! Join us for what will be an absolutely awesome show! After all, they are staying up to kick back and share some great stories with all of us as when we go live it will be 2AM for these two gentlemen. 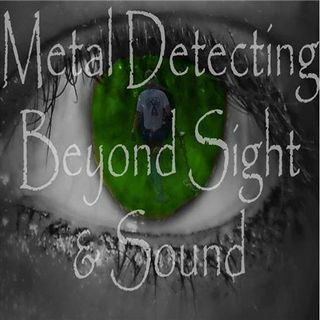 Let's make sure that they have a wonderful time here on BEYOND SIGHT AND SOUND as we talk detecting from mideval ruins to WWII artifacts and everything in between! Really looking forward to this one folks! Tune in...we want to hear from you!